I hereby declare that the above statements are correct and complete. The European Danube Academy has my permission to process, evaluate and store my personal information. Moreover, the jury as well as the funding partners are given permission to access and process the given data. 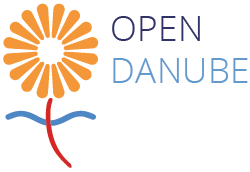 We process, evaluate and store your data in this application form exclusively for the purpose of performing the Open Danube Award 2019. Your data will not be passed on to third parties, except for the jury and the funding partners, and will be deleted immediately after the Open Danube Award 2019 has been performed. The use of the application form is voluntary. An objection to the processing of the data is possible at any time. Please contact our data protection officer in this regard. For further information on our data protection, please refer to our data protection declaration.